The origin of the term “home counties” is unknown and no exact definition exists, making their composition a matter of constant debate. Later definitions have tended to be more narrow and Bacon’s Large Scale Atlas of London and Suburbs(revised edition c. 1912) includes Berkshire, Buckingham, Essex, Hertford, Kent, Middlesex and Surrey in the “maps of the home counties”. The third edition of the Oxford English Dictionary (2010) defines the term as “the English counties surrounding London, into which London has extended. They comprise chiefly Essex, Kent, Surrey, and Hertfordshire.” Parts of all of those historic counties are, since 1965, officially within London, although no part of Berkshire, Buckinghamshire or Sussex is. The county of Sussex is also wholly outside, and Berkshire almost wholly outside, the route of the M25 motorway which is often treated as an unofficial perimeter of Greater London and some definitions of the home counties mention that those counties are not always included amongst the home counties, or that the term has been extended to include them. Whether they originally coincided with region borders or not, major highways often create boundaries — locally, between neighborhoods; then, between sociocultural regions of various sizes — simply because they create powerful barriers to the easy movement of people. This entry was posted on November 29, 2018 at 8:24 pm and is filed under Geography, Morning names. You can follow any responses to this entry through the RSS 2.0 feed. You can leave a response, or trackback from your own site. Middlesex is still quite often seen in many contexts. 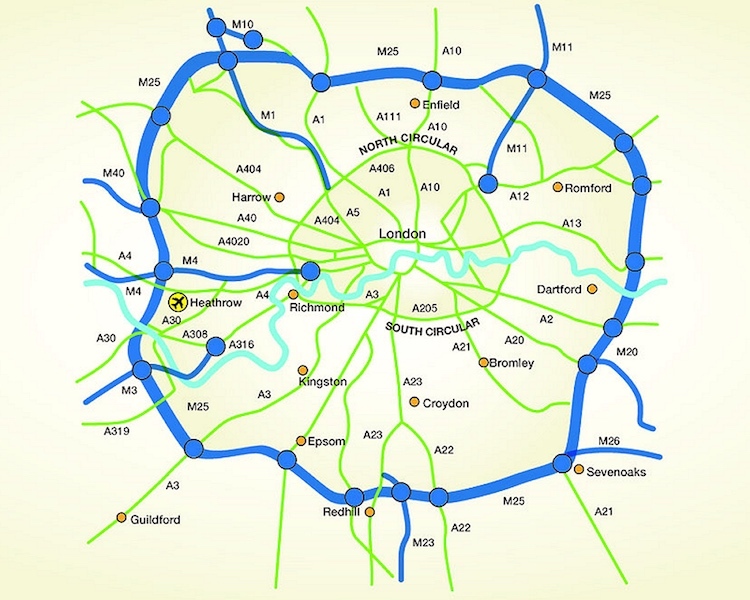 Freemasonry and its side orders still (mostly) have a Province of Middlesex, which covers areas north of inner London. I have often seen the spelling “Surry” for Surrey in ecclesiastical writings (such as old parish magazines). One of the chalices in our parish’s Vestry safe is inscribed with the name of “St Matthew’s, Newington, County of Surry”.